ARE YOU IN THE MARKET FOR TACK, BLANKETS, RIDING APPAREL, HORSE CARE ITEMS AND ANYTHING ELSE HORSE RELATED? 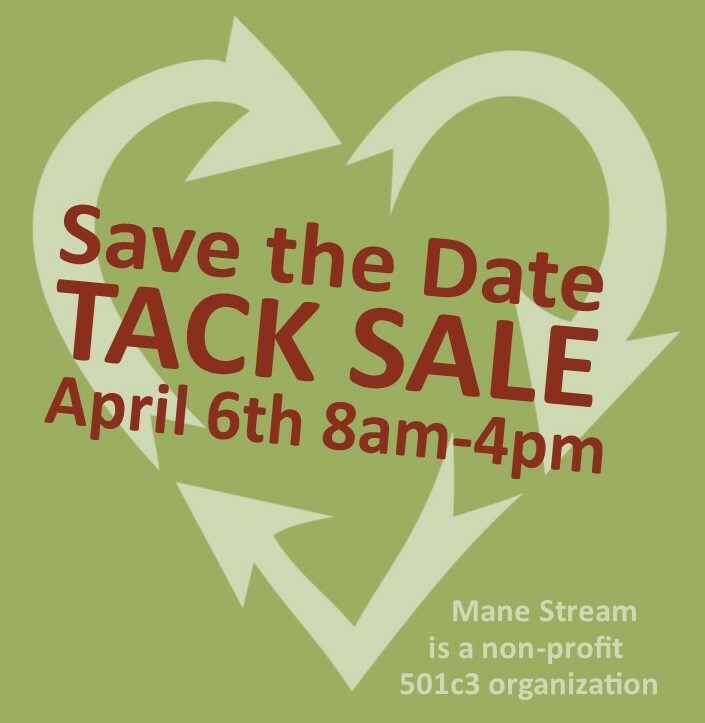 In the meantime...DONATE YOUR TACK - IT REALLY DOES GIVE BACK! Drop off new or used bridles, saddles, blankets, tack boxes as well as out grown boots, breeches, jackets, and any horse related models or knic- knacks. Feel good about supporting the Mane Stream mission to improve the quality of life for individuals with physical, developmental, emotional and medical challenges through a diverse program of equine assisted activities, therapy services and educational initiatives. All donations may be dropped off or call to schedule for a pick-up.